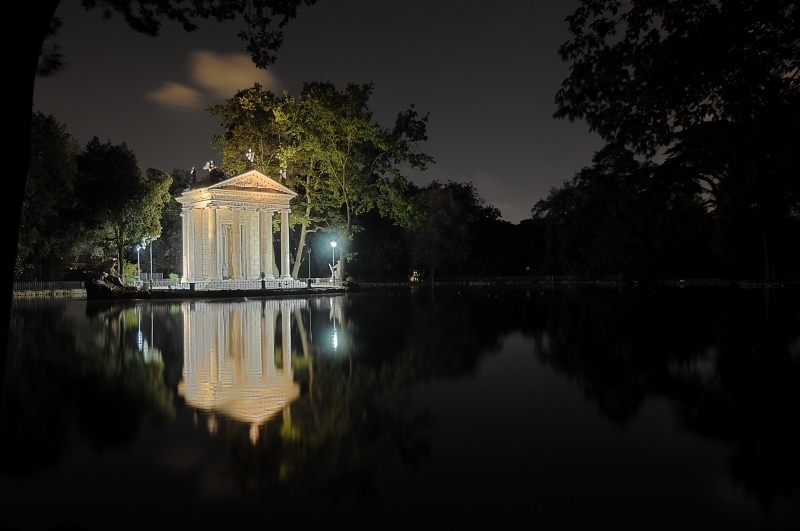 The temple of Esculapio, on the west side of the small lake in the park of Villa Borghese, Rome, is a ionic style temple built in 1786. Esculapio, from the greek Asclepio, is the god of medicine, healing and snakes. According to tradition, the cult has been introduced in Rome in 291 B.C. in order to help fighting a plague which was affecting the city.